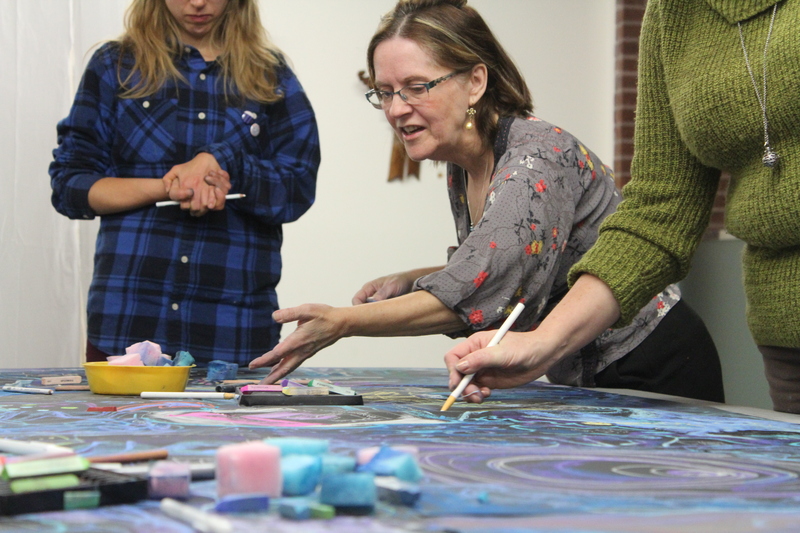 In a session of information sharing and professional development, learn engaging arts and learning techniques and strategies from award-winning artist-educator Eleanor Albanese. Explore innovative arts and learning programs and projects taking place in schools and the community. Enjoy a presentation and discussion on Canada’s Map of Arts & Learning – an innovative digital map representing arts and learning in communities across the country. We want YOU to be part of this conversation. Through focus groups and guided discussion, have your say and help guide the development of this vital tool for arts and learning in Ontario. Award winning artist Eleanor Albanese has spent her life immersed in the arts, weaving story through theatre, writing, film-making, marionette theatre, and visual arts. She is a strong leader and voice in the field of arts education and community-engaged arts, speaking and presenting at both national and international conferences. Over the years, Eleanor has designed and led a plethora of projects in tandem with researchers, health care providers, educators and community agencies. The Thunder Bay Eduarts Hub is presented in partnership with CAHEP. Canada's Map of Arts & Learning in Ontario and the Ontario Eduarts Hub series is supported by the Ontario Trillium Foundation.